~ gtkisaru ~: Why You Need to Wear Your Seatbelt on a Plane! 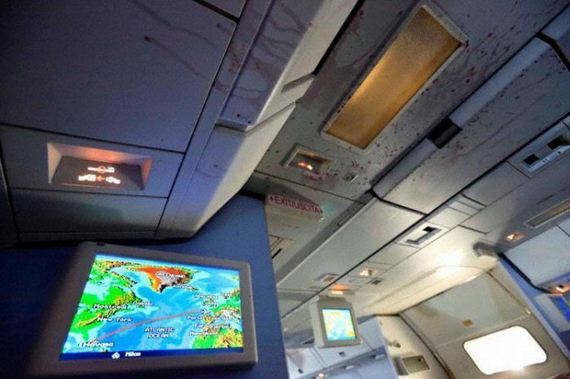 Why You Need to Wear Your Seatbelt on a Plane! Most airline passengers comply with the rule that you have to wear your seatbelt during takeoffs and landings. It is easy to feel their importance when you are thrown back into your seat during takeoff or as the plane jitters on the runway during a landing. And while the flight crew will illuminate the fasten seatbelt sign when they have hit choppy weather or in airline jargon;"Turbulence"
Turbulence is not generally dangerous to the aircraft itself, airplanes are engineered to endure these forces but inside the cabin there is a substantial risk of unsecured objects and people being thrown around. When passengers do not wear seat belts, they along with fellow passengers are exposed to severe injury. When an aircraft encounters turbulence, passengers may be flung from their seat, they may be lifted briefly out of their seat and then return abruptly back down, possibly on an armrest, a galley cart or another passenger. Despite seeing the seat belt sign, if a passenger is walking about, the potential for injury from falling or landing awkwardly on hard objects during a turbulence is even greater. Therefore, observing and obeying the fasten seat belt sign is a key safety precaution. 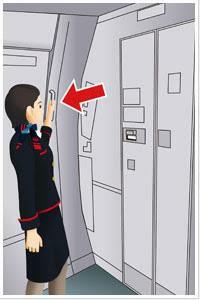 Flight attendants always urge passengers to fasten belt even when the seat belt sign is turned off, so as to prepare for sudden rocking of the aircraft. If passengers are using a blanket, seat belts should be secured over the blanket. usually passengers remove their seat belts and get up even as the aircraft is taxing after landing, the plane may move again after stopping, it is necessary to remain seated until the seat belt sign is turned off. "I know you're eager to exit the aircraft- me too. But if I to have an injured passenger on board their health would be in jeopardy now because this other passenger refuses to obey the regulations and instead chooses to be selfish. "What if the captain brakes suddenly while taxing down the runway? You'll be thrown forward. This is not ideal for me either, as it's close to midnight and I need to go home, too. "Please be seated and we can all be on our way once the captain says the magic words you are dying to have repeated from the pre-landing check, 'cabin crew, disarm all doors and cross check'." Everyone boards a plane to go somewhere and ultimately get off the plane, but the seat belt sign is on for some reason. It's for the safety of passengers. During take-off and landing passengers should fasten the seat belt securely and low, and make sure it is not loose to protect your body from shocks in an emergency. In case of sudden turbulence. 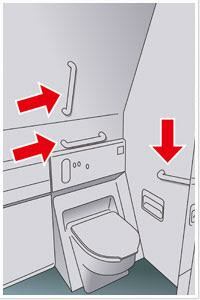 During flight, aircraft may encounter unexpected turbulence without any time to turn on the seatbelt sign. In this case, you should quickly support your body to prevent yourself from falling or being thrown off balance. First, sit in the nearest empty seat and fasten the seatbelt. If there are no empty seats nearby, squat down and grasp a secure object. Squat down and remain low. Grasp the nearest seat or armrest. 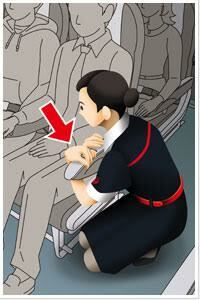 Hold the armrest from below to prevent your body from lurching upward. Hold on to a handle near the lavatory. Remain low and hold on to the handle. In the U.S, for passengers who refuse to wear seatbelts when the sign is illuminated and who are disruptive to the crew, the FAA can impose a maximum fine of $25,000. Bedava program ve oyun indirme siteniz. Mobil uygulamalar ve oyunlar, bilgisayar oyun ve programları internet sitemizde full program indirilebilir.